The Restaurant Pub Bernard is the only place with such a unique atmosphere in the very heart of Wrocław. It is located in a three storey picturesque tenement house on the east frontage of the Market Square, right in front of the Town Hall. The idea for the restaurant and its name were inspired by the world famous and unequalled Czech beer. The intent was to create a place which interior, cuisine and atmosphere will put every Guest in a great mood, will help them relax, enjoy themselves and Bernard?s excellent food. The interior is kept in subdued colours and classic style contrasted with some contemporary details. A glass wall with an unforgettable view spreading outside and a small balcony ? one of the very few on Wrocław?s Market Square - contribute to Bernard?s unique charm. Restaurant&Pub offers a wide variety of Czech, European and regional delicacies. The Menu is created with our Guests? preferences and tastes in mind. In our drink and cocktail menu the Czech beer reigns supreme. A wide selection of unpasteurized Bernard beer and the way we serve it ? with splendid, thick froth ? evoke the unique atmosphere of Prague. 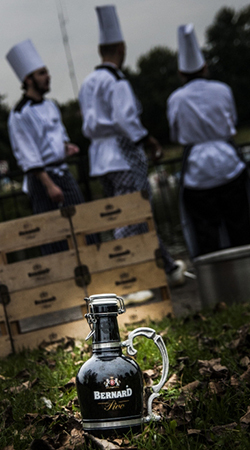 We constantly try to add variety to our offer by organising occasional events and changing the Menu every season. Bernard?s Barmen constantly surprise our Guest with new, unforgettable cocktails. Bernard makes its Guests feel at ease, relaxed and comfortable. You may even lose yourself during live music performances on selected days, or other times just sit back, listen to soothing background music and simply enjoy the spectacular panorama of colourful and dynamic Wrocław?s Market Square. Friendly, competent and helpful staff, exceptional cuisine, Czech beer and unique atmosphere ? 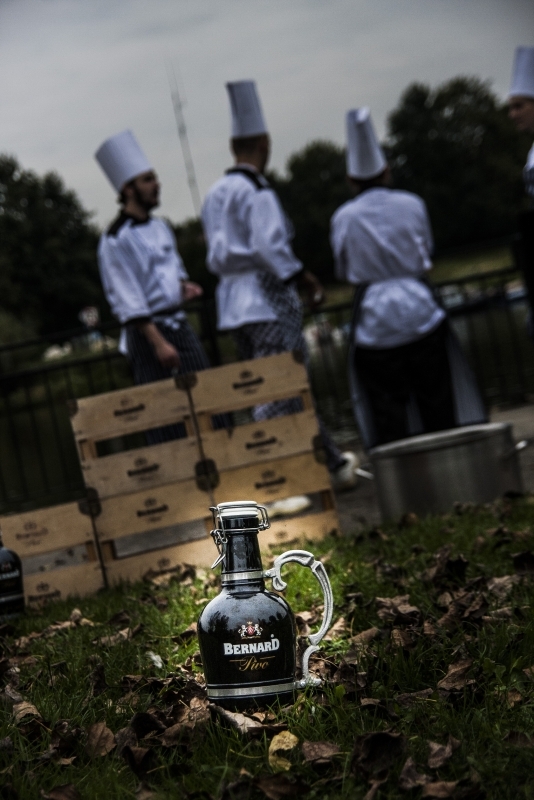 Bernard guarantees unforgettable moments!